Advertise in the Award Winning Underground Press and Get Noticed! Communication is key to the success of any operation. MUCA is nationally recognized in their communication efforts. MUCA members receive a steady flow of information in a variety of formats. Once a week, MUCA members receive a "Member Update" emailed to their office. This update is a summary of the industry and association activities in the past week. Two times a year, MUCA publishes an award winning magazine, "The Underground Press". 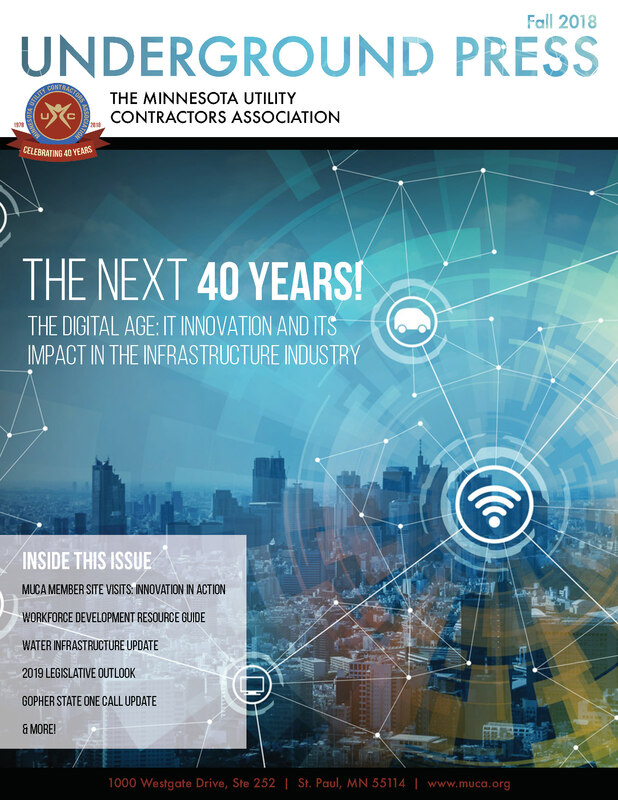 This full color publication is focused on the underground construction industry. As needed, MUCA distributes "Special Member Updates" to highlight timely information that our members need to stay competitive, current and productive. You can also sponsor an annual MUCA event.